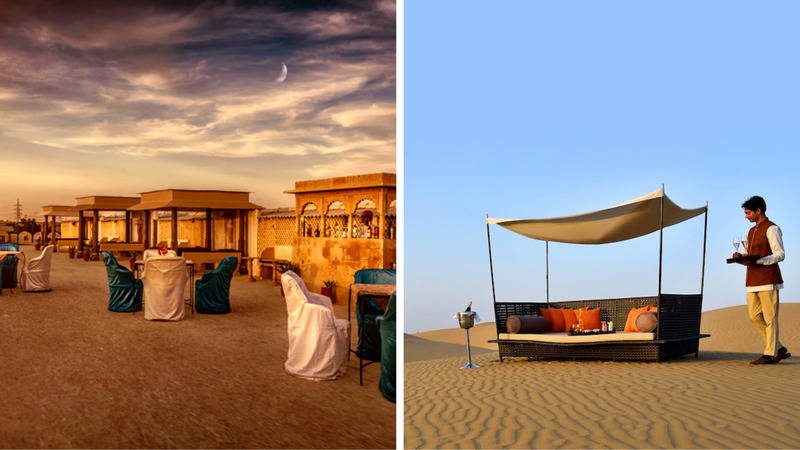 An oasis of calm in the middle of Rajasthan’s unforgiving Thar desert, this luxury camp is hands down one of the best ways to experience the golden city of Jaisalmer. The 21 tents in the property come with unmatched amenities; luxury tent suites have private gardens and heated dip pools, while the royal tented suite comes with its own spa, outdoor pool, and separate dining and lounging tents. The camp curates bespoke travel and dining experiences, including fun sundowners in the desert, Manganiyar folk performances, bush cooking, birdwatching, visits to Kuldhara (the abandoned city), bazaar jaunts in the old city, and much more. This upscale resort is located right in the heart of Jaisalmer and offers stunning views of the fort all around. The five-star property boasts spacious rooms and suites, an outdoor pool, a kids’ zone, among others, and comes with stellar dining options such as Wyra, the rooftop restaurant, and The Mithai Company, a chaat centre. With plenty of open space and lawns, it is a great pick for a destination wedding as well. 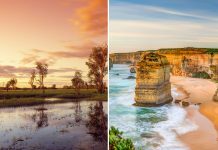 Visit Sam Sand Dunes and go on a camel safari, or pay a visit to the golden city’s many attractions. 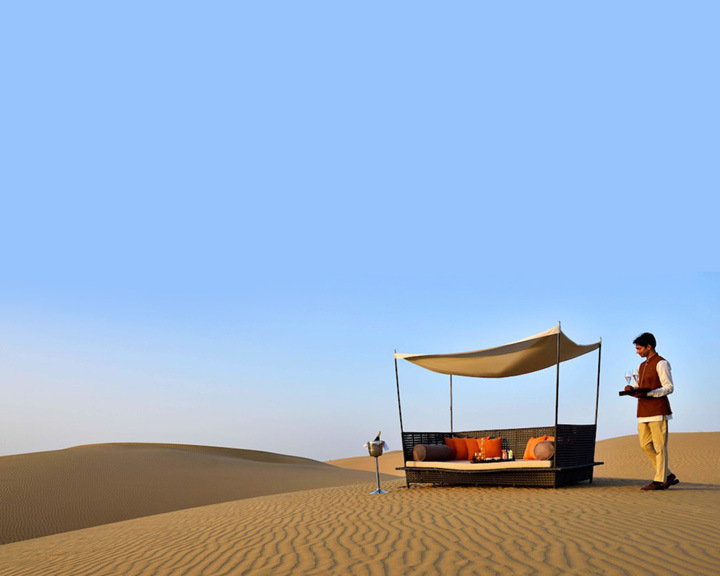 And after that back-breaking camel ride, savour a glorious sunset and head to Quan Spa for a relaxing massage. This majestic hotel, located near Jaisalmer Fort, is an ode to the windswept city’s royal legacy. With about 90 luxury rooms and suites, the property gives you a sneak peek into Rajputana culture and way of life. Every nook and cranny brims over with art—a painting here, a mural there—all done by local artisans. The hotel has some splendid dining options, including a poolside barbecue that serves up the juiciest kebabs. 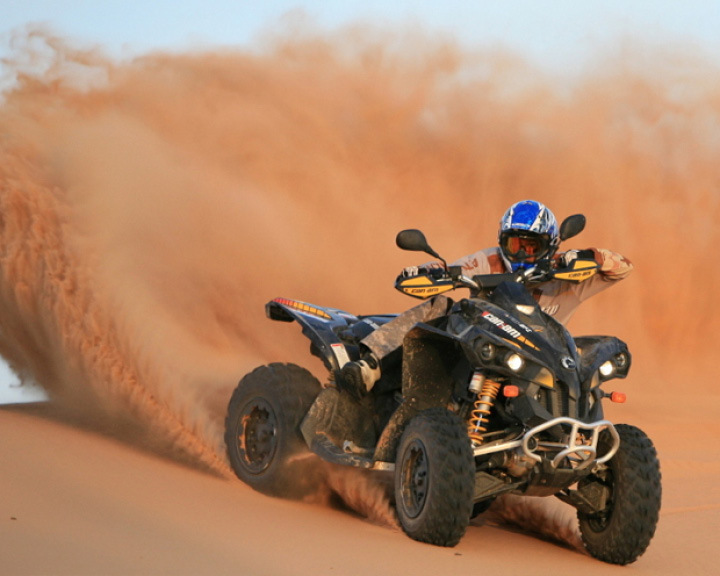 If you like an adventurous holiday, the hotel arranges sporty activities such as quad biking, sand surfing and dune bashing. And if you want to sit back and take in the sights, there’s a desert safari and city tour as well.